Mount Hope Wholesale is a customer oriented family owned business that always conveys a special ‘Pop and Mom’ touch to their work. The staff is very knowledgeable about their full product line. They are passionate about giving you the best fresh food products at the best possible prices with a caring customer service, and free shipping over low minimum prices. You’ll be thrilled and satisfied with doing business with them! If you need a hard to find item which they don’t have, they will diligently find it for you and ship it to you as soon as they can. Their service goes above and beyond duty! 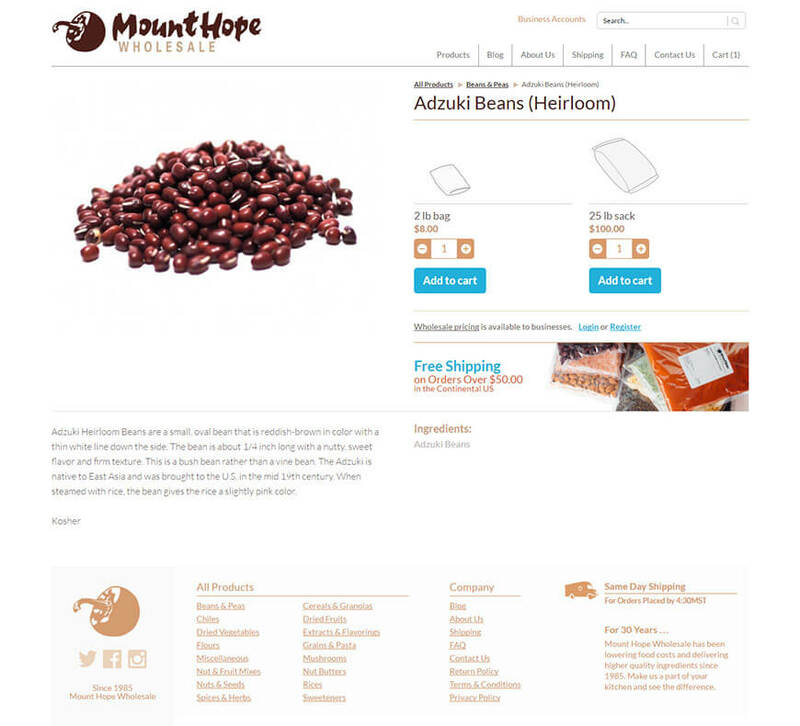 Mount Hope Wholesale has been able to more effectively interact with their clients through their web site. Answering their questions right away, helping them with any special requests or needs, communicating about shipping details, and giving superb after-sales services. Their caring for their clients even comes through their site. The web design requirements were simple and clear. They wanted a clean, clear home page with very user-friendly navigation. All the necessary links for their business had to be on the homepage and provide seamless connectivity. 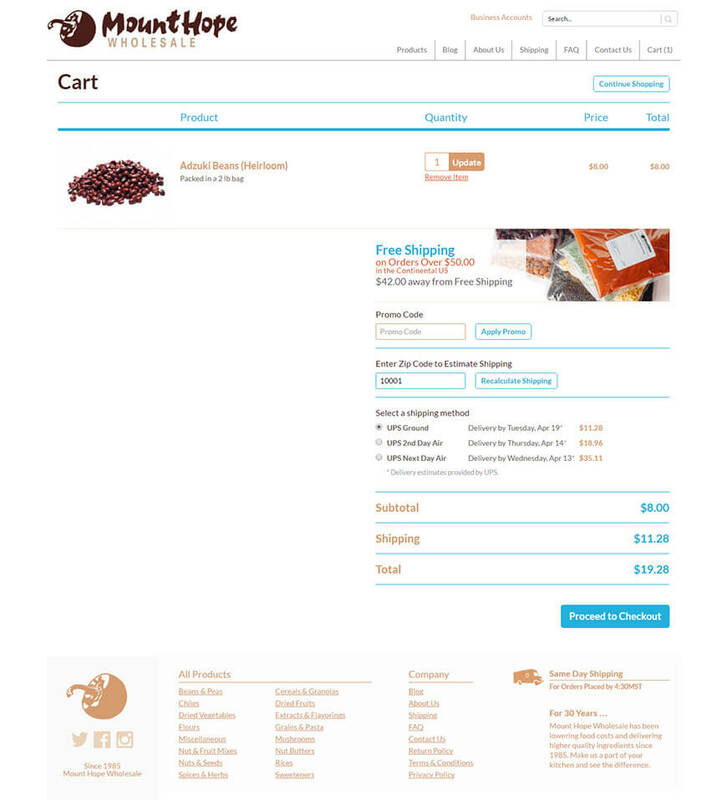 A shopping cart had to be simple yet effective to use for online shopping from many different platforms. It had to be easily updated whenever needed. Pulse provided this excellent user-friendly site to highly compliment their customer-oriented business. Customers will find this site to be well laid out with pleasing graphics and easy to use links to find all the information you need about products, prices, service, shipping and support. The online shopping cart makes your buying as hassle-free as possible .The search feature is quick and responsive. 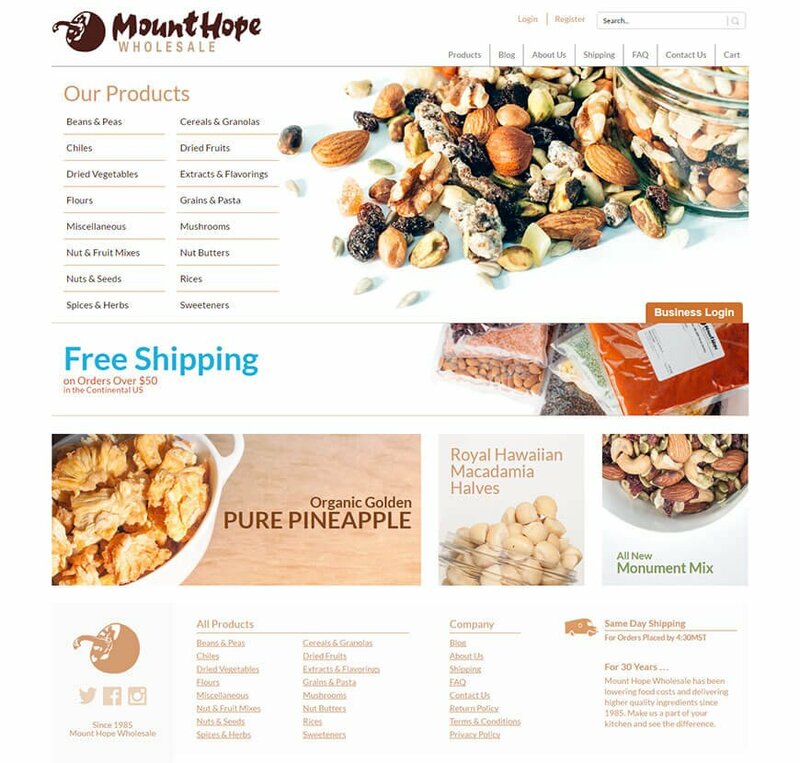 Pulse used ASP.net, SQL, and Server DNN to build this ecommerce site for Mount Hope Wholesale. This professional web site has been a boon for Mount Hope Wholesale, helping them to enlarge their client base nationwide, and increase their sales.